Modena Restaurant and Coffee Dock opened in May 2008, under the management of Mr Rashid Dinislam and Mrs Rohana Dinislam. We worked in the food and catering industry for over 25 years. We worked in a variety of 5 star hotels around the world. I (Rashid) am Bangladeshi and I am an Irish citizen. I have been living in Portumna for the past 15 years. I am very friendly with the local community. I am settled here with my family. I have two sons, Monir and Shohel. They are attending the local secondary school. I have worked hard to achieve this restaurant and I am thankful to the support from my family and friends. We specialise in traditional Irish cuisine. Fresh fish is our speciality. It comes fresh every Tuesday and Thursday to the restaurant. We also specialise in Indian food, such as our tandoori specialities (dry or sizzling dishes). These are served with a choice of mild, medium or hot sauces. We also serve Italian food. All our pizzas are made with the finest ingredients. Fresh dough is prepared daily on the premises. We have a fully licensed bar and an extensive wine list available. There are three areas in the restaurant. We have a function room which caters for 120 people, our dining room caters for 52 people and our coffee dock caters for 20 people. Outside we have a sheltered smoking area and seating available for the occasional sunny day. 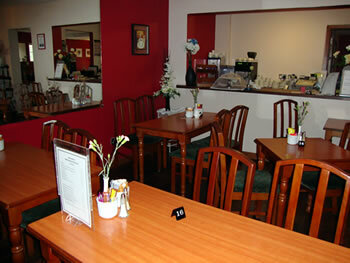 Our restaurant is wheelchair accessible and fully conditioned throughout. We have special offers on an ongoing basis to suit everybody’s pocket. 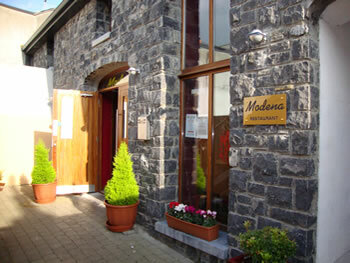 Modena restaurant is a family run business. Our main focus is on good food, friendly service and customer satisfaction. All our beef is Irish Certified and supplied by Master Butcher Kyle D’Arcy. The rest of our meat is supplied by Mill Meats Ltd,Galway. The supplier of our fish is Star Seafoods Fish Sales Ltd,Cork and our vegetables are sourced locally. Our food is Bord Bia quality approved. 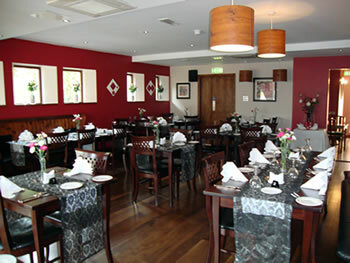 Function room catering for all parties such as Birthdays, Christenings, Private Parties, Holy Communion & Confirmations. Up to 120 capacity. 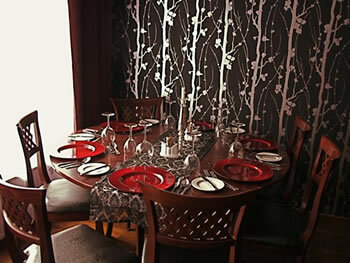 If you would like to take a peek at our menu it is on our website and facebook pages.